Data is crucial to running a business. Can businesses survive in the event of data loss? Well, it depends on what data was lost and its extent, like how many data were lost and how it will affect the business as a whole. It also helps to know which type of data is lost as there are several types that matter in a business, examples of which are customer data, sales data, operations data, financial data, employee data, and online data. This information has a different impact on the business but they are all important for the smooth day-to-day operation. Having them organized and stored properly yet can be easily accessed is also a must since they aren’t just words and figures but they are important indicators of how well your business is doing and what area can still be improved. Another reason why you should always be very careful in storing your data is because we now live in a virtual world that is highly connected by the IoT, business works faster and more efficiently if everything can be accessed on the web with ease and you can also easily monitor all aspects of the business to ensure nothing is amiss. Any problems concerning data loss can be catastrophic especially when you don’t have a backup plan in place. In these technological times, data reigns supreme. In general, data encompasses a broad range of elements from facts, observations, measurements, words, numbers, and statistics. The type of data and its related importance can vary among individuals, organizations, and businesses. In terms of businesses, data is exceptionally important and includes an assemblage of information that provides a highly-specific picture of your customer demographics, buying patterns, internal business processes, and much more. With this essential data, businesses are able to fast-track their way to success by optimizing resources to execute a well-founded strategy to improve and enhance their market prowess, while impressively expanding revenue. By now, almost all businesses make use of technology somehow. If not all business can afford to equip their business with a computer, most owners have a smartphone or a smart gadget that helps them in a way in interacting with customers or advertising their business and services on the web especially on social media platforms where it can be seen by their target customers. While computer use has their drawbacks especially when it comes to cost and finances, they can definitely increase efficiency and productivity, which translates to profit in the long run. You can do business wherever you are in the world as long as you can access the web. Along with the ease and comfort offered by technology are the woes of data loss. Even if you do backup your files, there is still no assurance that all your backup devices will keep your data safe and sound. Several factors like accidental data deletion, online bugs, system failure, hardware damage, etc. You may also lose or damage other backups like flash drives and external hard drives, so you still lose your data and your business suffers. When that happens, data recovery is the last resort your business can take to keep it going. It may be a little costly but getting your data back is more important because your business will be crippled without it. This is not something that an ordinary person can do on their own. You usually have to hire the expert services of a data recovery expert and it does not always come cheap. 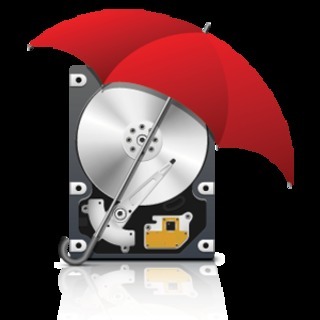 Check this out https://www.harddrivefailurerecovery.net/how-flat-rate-data-recovery-pricing-works/ to learn more about data recovery pricing so you only pay the right price and not get ripped off of your hard-earned money. Once checked by an expert, they can also decipher whether your hard drive can still be fixed and used https://www.harddrivefailurerecovery.net/what-everybody-should-know-about-recycling-hard-drives/ or whether you need to buy a new one ASAP. Getting your hard drive fixed will put your business on the map again and ensure your operation runs smoothly 24/7.